Ah, motherhood. It's something most women will venture into at some point in their lives, but somehow it seems completely terrifying to be outside of it. 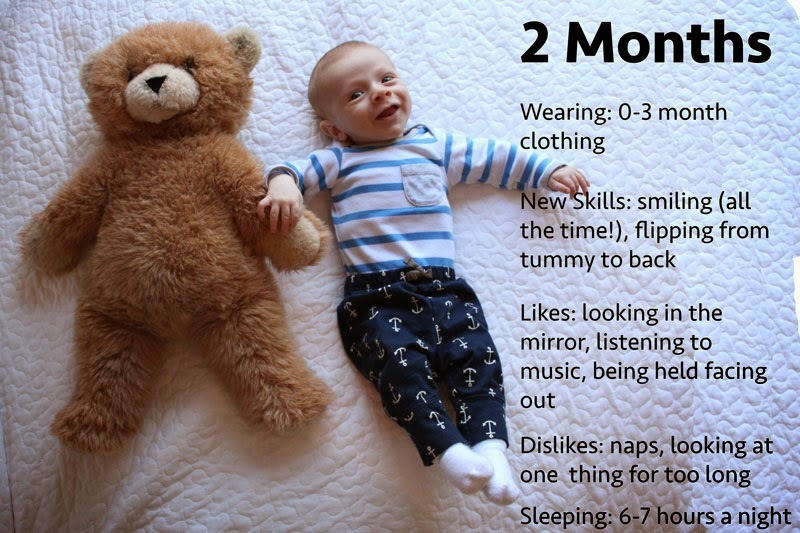 I am a mom to a three month old, so I know approximately nothing, but I want to share my thoughts and experiences for no other reason than to look back on some day and laugh at myself. Alright, so. The newborn phase is hard. Real hard. The hospital experience was actually really great (read my birth story) but coming home with an extra person to care for is pretty crazy. The first week was a blur... Piglet only slept for like 2 hours at a time round the clock so I was essentially a zombie. Having Eric home was wonderful. He brought the baby to me during the day when it was time to feed him (which was... all the time) and he made sure I ate something on occasion. Loveyouboo. It has never been easy for me to ask for help. But, there were so many changes so fast that I was so thankful to everyone who offered something. Eric had to take some finals the second week Piglet was born, so my mom came and stayed with me while he was gone. It was nice to just have someone unload the dishwasher and make coffee and hold the baby while I showered. We also had people drop off dinner for us the first few weeks. I have just now started cooking (occasionally) so that was so helpful. Eating takeout gets old! I've never really considered myself the most patient person in the wold, but I am definitely less patient than I thought I was. 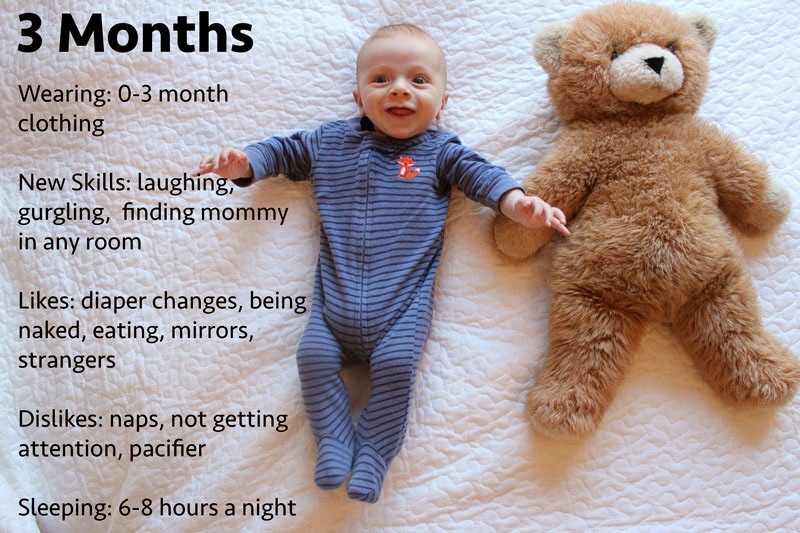 Babies are babies (duh) which means they cry when they are tired instead of just falling asleep. It doesn't make any sense and it invokes a lot of Dear Lord, please let this baby sleep when his eyes are slowly closing and they jerk back awake again the second you try to set him in his bed. In addition to the prayers for sleep, I have also prayed for a lot more patience - I know I will only need more of it as time goes on. I actually felt really really good after Piglet was born. I was in very little pain and I didn't need any pain meds, which I am so thankful for. Still, I didn't take it easy enough. I tried to do too much too soon and I wish I hadn't. People are coming over to see the baby? Okay, let me wipe down the kitchen counters real fast. Stupid, Ashley. No one cares. I only had a short window of time where I could sit around and people wait on me hand and foot (and it's wonderful) and I wished I had let myself rest a little longer. Oh man, I love my little guy so much. I mean, I knew I would, but it's definitely more intense than I expected. And it has just increased as I have gotten to know him more. When he smiles at me... it's like my heart is going to explode. Just so intense. And yes, everyone told me it would be that way. I just didn't fully understand until I experienced it myself. Such a sweet little post. I love how this baby never closes his mouth! His tongue is out all the time! So many fun lessons to learn in those first few months! Aw, what a neat post. Also, I love that you photograph Piglet next to the same bear. It's so neat then to watch him grow. He'll be twice the size of the bear before you know it! awww i love this. i don't think it's something you can understand till your in it - obviously i have no idea, since i'm not a mother. i am also not patient and i hate accepting help (especially from the people who will be wanting to help here... ugh) so i'm in for a rude shock! 100 % true!! 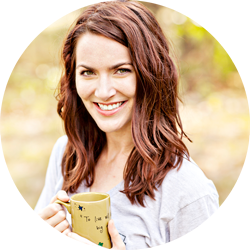 Motherhood is no joke and it's really hard to wrap your head around it before your little one arrives. I think all new moms would benefit from your list of - rest more, accept and ask for help and pray! I also think it's good to keep your expectations low, shower regularly and have someone else do the grocery shopping for you. Glad y'all are doing so well. Piglet is adorable :) I'm already impressed with his trendy fashion sense - stripes and pattern mixing!! This is such a sweet post :) I love all 3 pictures of him especially the 3rd! What a cutie!! aw, I just love this! 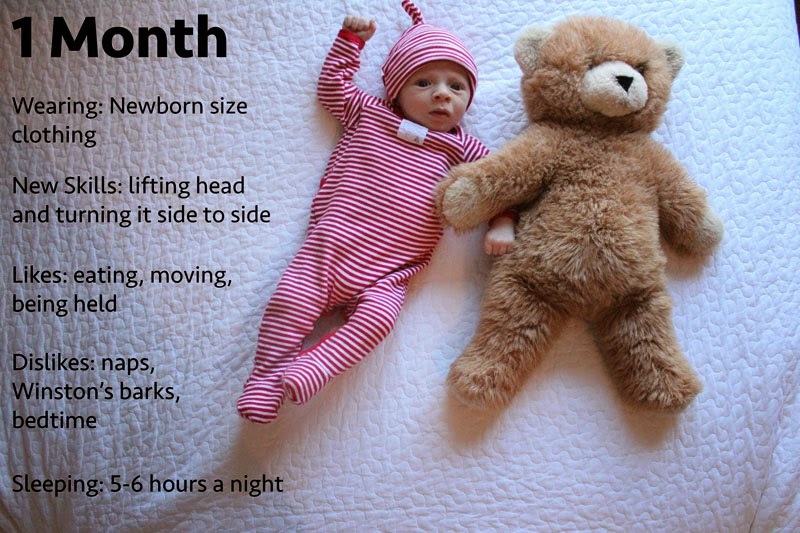 I'm getting ready to be in that newborn phase, and it's so exciting and terrifying! This also reminds me I should get a large and adorable stuffed animal to take monthly pictures with! Miss you and that sweet babe! We need to get together again! He is SO precious!!!!!! And all the sleep he allows you to have... I'm BEYOND jealous! Lil Piglet. I just love the pictures of him and his smile in them! What a sweetie. Wait, is he sleeping for 6-8 straight each night?!! That would be HUGE! My daughter didn't do that until 6 months old (when we started solids). I love that you shared all these. He is such a little cutie pie! I love his sweet smile! I had so many similar thoughts in the early days! Just like everyone says with your 'mother's intuition' kicking in, I found eventually the patience kicked in too. I still get frustrated sometimes when he just.won't.nap....but I'm able to step back, take a deep breath and then help him calm down and get past those grizzles. It gets easier with time. Look back and laugh at yourself... yep, I've been there. What got me through most things, which now looking back I seem extra clueless about and was thinking I had it all together with, was remembering that everything's a phase. I don't think I'll ever laugh at myself for that sage advice because it's totally held true :) Hitting 3 months was a happy turning point in things getting slightly easier, especially in that they get so much more interactive and smiley, which makes the whole thing more rewarding. Glad to see you're getting smiles AND some decent sleep! He's way too cute. What a fantastic review. He is a cutie pie. Love the photos with the teddy bear who is almost as long as your boy. It will be fun when he grows and gets taller and then the teddy will look smaller. Question he already sleeps 6 to 8 hours a night without waking up? Wow you are lucky. Vivian is 26 months and still wakes up at least three times a night. And beautiful Ash, I sent you an e-mail, did you get it? Have a great week and enjoy each day with him because time spins and flies, dear. I love the little "infographic" you made for this! The teddy is for reference, I assume? He is TOO cute. You may think you know nothing...haha but you still know more that SOME of us! This was very informative. I know already that I'm not patient at all, so I worry about that with kids someday! Hope you are having a wonderful start to Spring, Ashley! This is such a sweet post. You've just confirmed a lot of what I expect motherhood to be--no sleep, trying to do too much, needing help. I'm glad to hear you've been getting help when needed. When you have a little one you have to be around ALL THE TIME, you can't even get a second to take a shower if he won't sleep. Your little Piglet is just the cutest little thing. That smile!